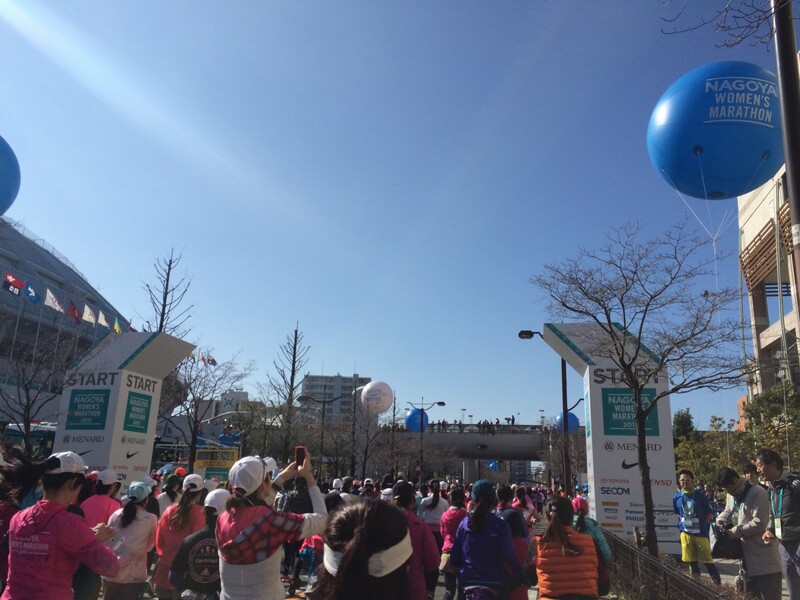 Race Review: Nagoya Women's Marathon 2015 "Checked" | JustRunLah! After doing the Tokyo Marathon in 2014, a friend told me about the Nagoya Women’s Marathon and how this race was different from others. So last September, I bidded for an entry slot and was lucky to garner an entry to this largest women-only marathon in the world. 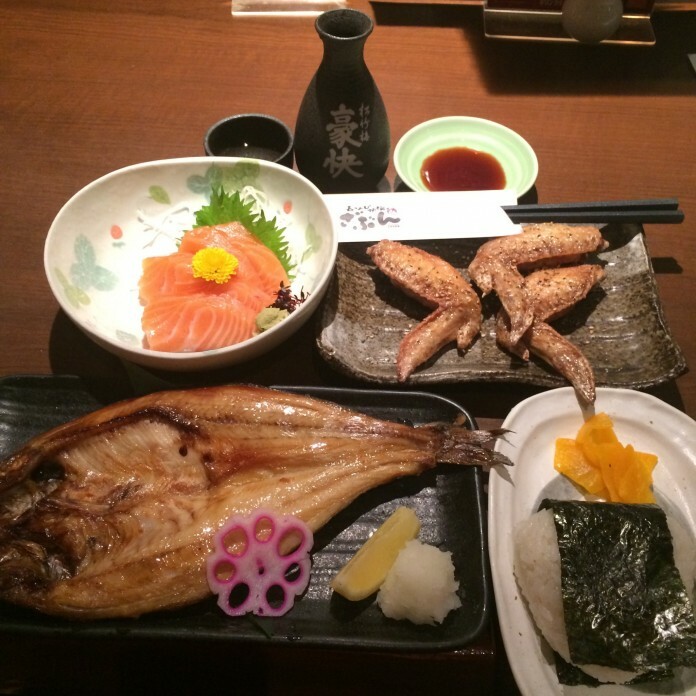 Feeling excited as it was my first real solo trip, I happily flew into Nagoya on 3 March and headed north to visit Takayama, Shirakawa-go, Hira Furukawa, which were all awesome in winter. I took a bus back to Nagoya city after two days of sightseeing and started to prepare for the marathon. 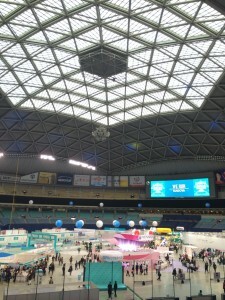 Race pack pick-up started two days prior to the race and it was held at the Nagoya Dome (home of the Nagoya Dragons, their local baseball team). Here, various sponsors and partners showcased their products and services with Menard and Nike having the largest booths. 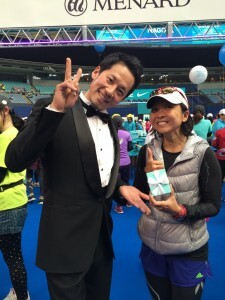 Others sold running gear, power gel and isotonic drinks. The race expo however, was significantly smaller than the Tokyo marathon’s. Upon arrival at the Nagoya Dome-mae Yada station, hordes of people got off and there were volunteers carrying signs in Japanese, presumably leading the way to the Dome. The baggage drop off was relatively smooth as we were allocated sling bags to contain our personal belongings and we just had to drop it off at the pre-assigned sectors. Thereafter, we walked through the Dome, caught a glimpse of the finishing line before heading out into the carpark area to await the start of the race. 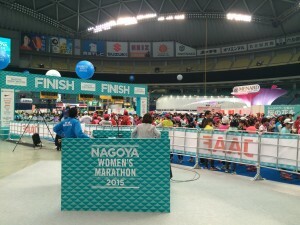 At the start point of the Nagoya Women’s Marathon. Here, I was greeted by a spectrum of colours as the women were dressed in bright sports gear. Popular colours were various shades of pink, purple, yellow and turquoise (this is the official colour of the marathon) and I was probably the most boring one in black. Like most races, there were several who also chose to don their favourite cartoon character or super hero outfits. I must say the weather was excellent – sunny yet cool, nothing like the heat and humidity one would experience running in Singapore. However, the day was actually hotter than usual at 12-17 degrees Celsius as compared to other days of about 10. So while very few chose to wear a down jacket, I was left with little choice as it was my only top with pockets, and I needed pockets to carry my gel and gloves. I saw a smart girl wearing a cycling jersey and immediately thought that why didn’t I think of that as it would have been ideal – it was not too warm as a second layer, and had pockets to store stuff! 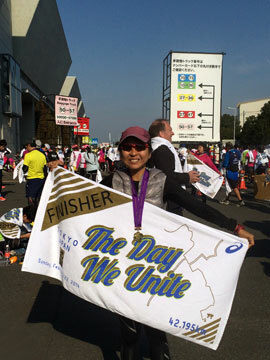 At 9.10am, the elite wave of women were flagged off and by the time it came to ordinary folks like me, it was about 9.27am when I reached the start point. I quickly snapped a few pictures, started my Runkeeper app, kept my mobile phone and started my race. The start was a bit slow as there were many runners, but I knew I had to keep to a good pace for my first half if I wanted to complete the race in a decent time. From the Nagoya Dome, the race route took me past the Nagoya museum, Atsuta Jingu, Osu Kannon, Tsurama Park, Nagoya TV Tower, Nagoya Castle, Nagoya City Hall, Shachihoko and back to the Nagoya Dome. At the end of the race, finishers were treated to a pleasant surprise – a Tiffany & Co. “medal” in the form of a Sakura pendant, all nicely ribboned-up in a box. Indeed, it is the best and most useful race medal I have ever received! This truly, is a women’s marathon. Have more English signs. As I don’t read nor speak Japanese, figuring out what was where was quite a challenge. Most of the time I had to use intuition or ask using my limited Japanese. Have more portable toilets. I spent an hour queuing up just to use the loo prior to the start of the race. Again, have clear signages to indicate where the changing rooms were. After the race, I did not see any toilets to freshen up and traveled back to my hotel (via the subway) in my drenched outfit. This is not ideal during winter. But also, because of the huge numbers, I figured that by the time I queued just to change into a fresh outfit, it would be faster just to head back to the hotel. Hardly anyone walked during the 42.195km so I was super motivated to keep moving. The volunteers, who played a huge role in the success of the marathon. Without their enthusiastic cheers and logistical support, the race would not have been a smooth and enjoyable one. 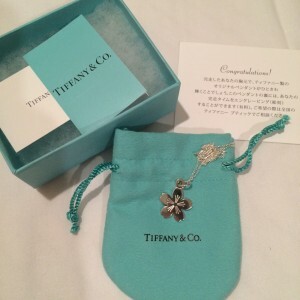 Money can buy you a Tiffany jewellery but it is pure sweat and endurance (and pain) that will get you the coveted Tiffany Sakura pendant. Oh, and you get to pose and take pictures with handsome, hot bods too. Although I could barely walk after the race, I still treated myself to sake and Izakaya to celebrate the completion of my 3rd marathon. Good overseas race review. Its nice to know that more Singaporeans are heading out in search of more exciting races! 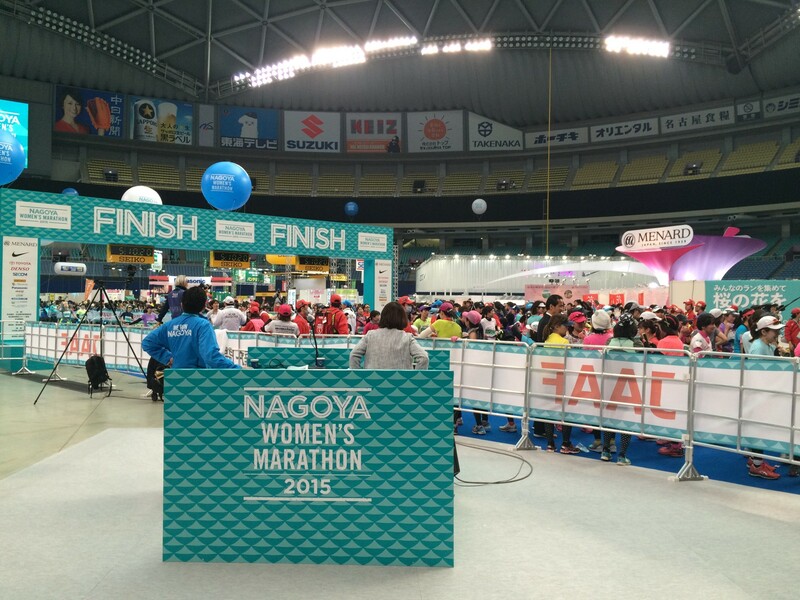 Good review of your Nagoya Women’s Marathon 2015 event and any more overseas running event for you?